Plastic pollution is a global problem of epic proportions that can only be solved by creating widespread change. Getting everyone on board requires going to the top as well as going door to door. We are willing to do what it takes to protect our oceans and their inhabitants before they are ruined for future generations. Through the power of our film, we have educated and motivated millions of people to rethink how they use and dispose of plastic. For global environmental issues such as plastic pollution, talking with like-minded “greenies” is not as critical as engaging in dialogue with the uninformed and the deniers to reach our goal of eliminating the release of plastic into our waterways. 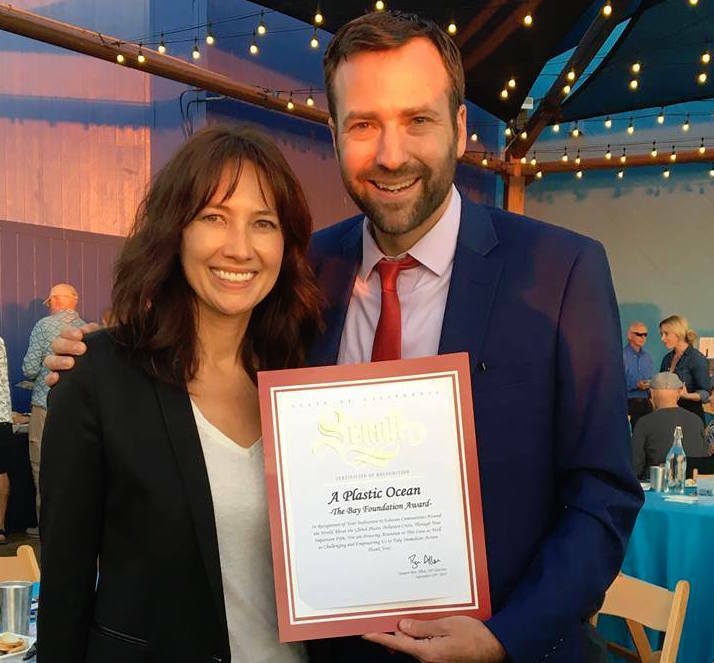 This past weekend saw our film A Plastic Ocean honored twice by vastly different constituents. 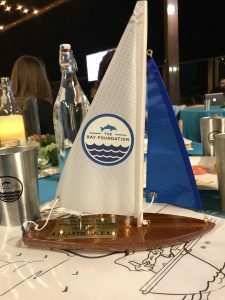 With the ocean and a breathtaking sunset as the backdrop to the gala on October 28th, the film received recognition from The Bay Foundation for raising the issue of plastic pollution to a global level. Presenting this prestigious award was none other than Senator Ben Allen, representing California’s political support for our fight to end plastic pollution. Plastic Oceans Foundation is completely supportive of The Bay Foundation and its work to restore and enhance Los Angeles’ coastal waters, including Santa Monica Bay. The tireless efforts of the Bay Foundation have resulted in significant improvement of the water quality in the past 10 years (2007 to 2017). POF’s sole mission is to rethink the usage of plastic around the globe and its impact on our environment and our health. Our focus is on the collective positive impact on identifying and addressing the problems. Together in partnership with established organizations such as The Bay Foundation, we engage to co-create solutions that work for increasingly vast numbers of diverse communities. In an ideal world, we would eradicate careless plastic disposal today. However, plastic is integrated into every aspect of our lives and will not be eliminated overnight. While a collective global effort is critical for meaningful top-down impact, each community uses and manages plastic differently and thus must also create grassroots campaigns to prevent irresponsible plastic disposal and to clean up trash from our seas and waterfronts. It is indeed a privilege to share A Plastic Ocean’s message with communities around the world. 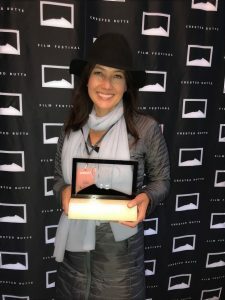 I had the opportunity to present the film twice to full audiences at the Crested Butte Film Festival. 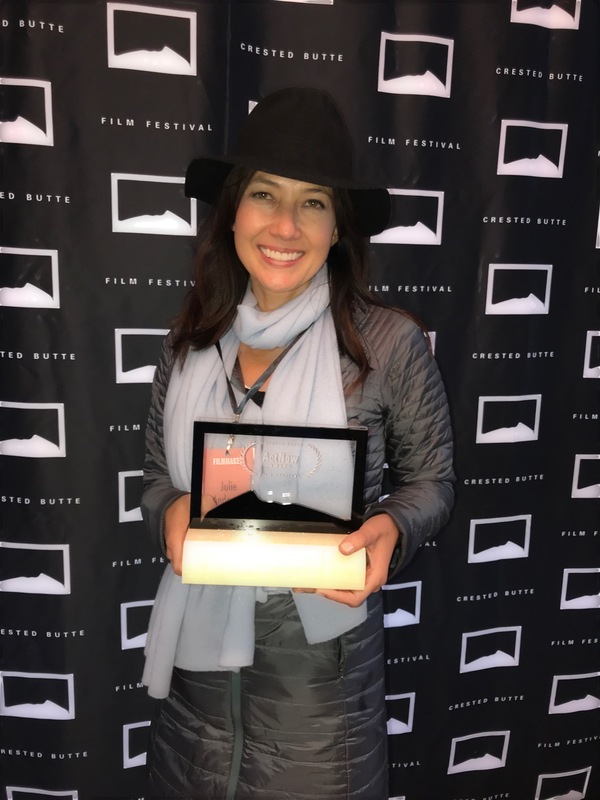 The impact of the film was further recognized at the Crested Butte Film Festival with the ActNow Award for a film that inspires, educates and creates proactive change in a positive way. 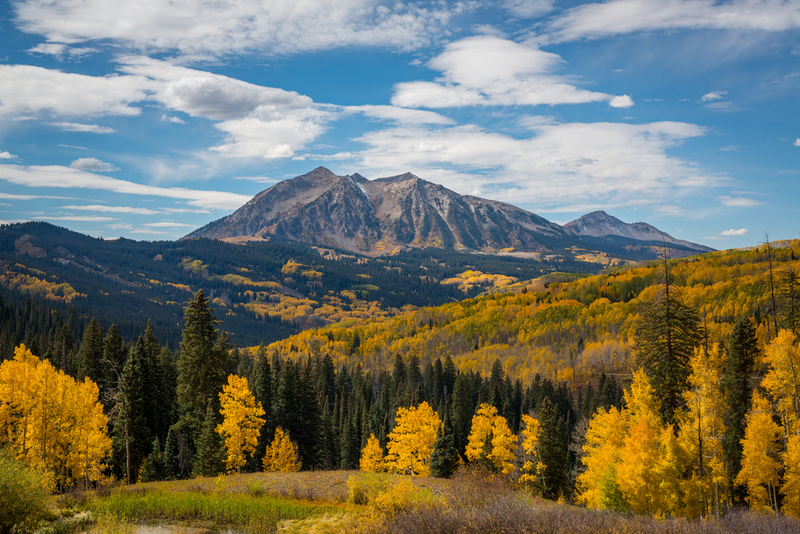 Surrounded by mountains, Crested Butte is a charming ski town but their festival attracts attendees from near and far – in fact, audience attendance has tripled in recent years. During the Q&A sessions following the screenings of our film, passionate audience members debated the critical causes and solutions and committed to spread the film’s message to their family and friends. And from there the domino effect for social change will take place. If you have seen the film, you now know and I challenge you to teach 3 people this week of plastic pollution and to inspire them to start thinking reusable rather than disposable. If you haven’t seen the film, check it out today on Netflix, iTunes or download from www.plasticoceans.org.